Away from the A/U Ranches for several years, a former camper returns as a staff member and reconnects with a sense of home and an understanding of Christian Science. “My first summer at camp was after 6th grade, and, as many kids are at that age, I was feeling lost and unsure of myself,” says Chris Muller. “I was completely blown away by my first camp experience. A huge part of that was the incredible staff of counselors guiding and supporting me every step of the way.” So after graduating from college last summer, he knew what he wanted to do: come home and be a part of helping someone else find their place at the A/U Ranches. “Camp is a place where everyone is given the chance to learn how to shine their brightest,” Chris reflects. “It was one of the first places outside of my home where I was told that I belonged, that I was loved, and that I was capable of doing amazing things. 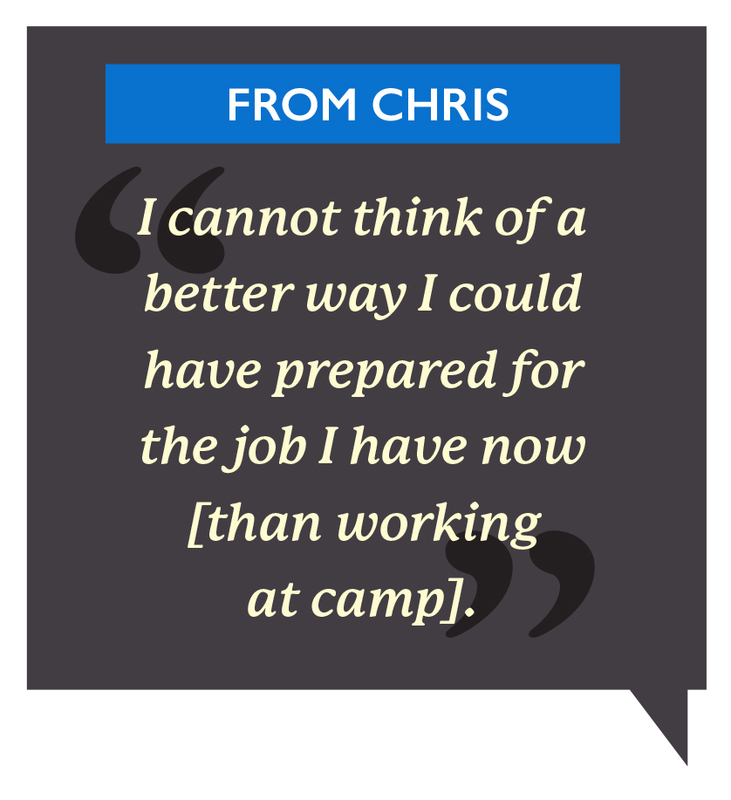 He felt the powerful impact of camp while on a three-day trip last summer. A camper had been concerned he was going to have a negative experience, and continued sharing this through the morning of the second day as the group made their ascent. Close to tears, he demanded they stop at one point, so everyone took off their packs, ate some breakfast and read the Bible Lesson together. Experiences like this – as well as “the incredible staff, the supportive atmosphere, the learning and discovery about myself and Christian Science” – have inspired Chris to return regularly to the A/U Ranches, he says. And, he adds, “Above all, I came back for the adventures. The hiking trips, the climbing, the rafting, the eco stratego game, the South Woods runs, the peak climbs, every second of it kept me coming back year after year and always wanting more. Chris is now teaching math and science to 7th– and 8th-graders in Honduras. 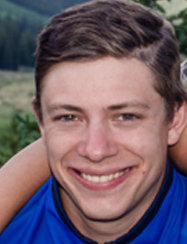 “I got a lot of practice managing groups, leading activities, and actually some practice teaching in the form of leading Sunday School,” he says of his summer on staff at the A/U Ranches. 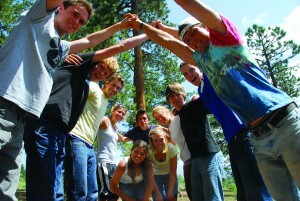 “Learning how to handle a group of teenagers living together in the bunkhouse was invaluable. I decided to work at camp before I decided to teach, but I cannot think of a better way I could have prepared for the job I have now.” Chris plans to return as a staff member to the A/U Ranches in the coming summer after his year in Honduras.